Today’s Link Love post is brought to you by some of the cool causes I’ve seen highlighted this week on the various blogs I read. Inspired by my Fundraising and an Interview post a few days ago, I thought I would let you know about some of the awesome causes that people throughout blog-land are talking about. Many of you followed my drama surrounding my dryer fiasco and the subsequent purchase of a new one. I’m happy to report that my new washer and dryer have settled in nicely and stepped up to the plate as far as their daily cleaning duties go. Not long after getting the new ones, I became inspired to give the whole laundry room a little bit of a makeover. Nothing crazy – I’m not painting in there (yet) but I figured I could at least clean it up and organize a bit. Enter Thirty-One (of course). I decided that our Square Utility Totes would be perfection for organizing stuff on the shelving above the washer and dryer. And boy was I right. LOVE how it came out. There are a couple more, one for “Kid’s Stuff” and one for “Storage” but you get the idea. I adore things that are adorable and functional! One of the things I LOVE about having my own business is that I can choose to give away a portion of my sales to worthy causes, such as I did earlier this year for Relay for Life. Awhile back, I was approached about getting listed on a Fundraisers site, called ADH Fundraisers. I happily submitted my information to the site owner, who was at the time still working on the general layout and design of the site. I then kind of forgot about it. You know how it is…you get busy, emails get pushed aside, etc. Well anyway, just a few weeks ago I was contacted by the site owner, Angie, and told the site had launched. She did a great job with it, and it’s a valuable resource if you’re someone searching for the next great fundraising idea for your organization or club. 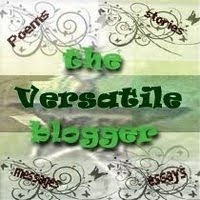 Angie graciously agreed to be interviewed for the blog and tell us all more about the site. Beth: Angie, thank you for agreeing to be interviewed for the blog. Angie: You’re welcome! I really want to get this site growing and get more exposure to the public. Beth: What made you decide to start ADH Fundraisers? 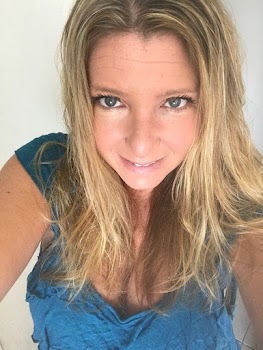 Angie: I am an Independent Sales Representative with Avon and I have worked with friends and families setting up and running Avon fundraisers, as well as small groups such as Cub Scouts. I had a chance to see how simple and beneficial these fundraisers were and wanted the opportunity to help others in need of fundraising. I own www.ADHSites.com which is a division of www.ADHEnterprise.com, Business Solutions. I decided to create a website dedicated to Fundraising, www.ADHFundraisers.com. ADH Fundraisers is a place for individuals and business that offer a fundraising opportunity to list their opportunity and information for free. It is then a place for individuals and groups looking for fundraisers to locate a fundraising opportunity that will benefit them. The individual or group may then contact any or all of the fundraising opportunities directly to get more information and to get a fundraiser set up. I, along with ADH Fundraisers and ADH Sites, also donate websites to individuals and groups running a fundraiser. The website is beneficial for the group or individual because they can post all of their information about their group or the individual, what their fundraiser is for, they can share pictures, stories, etc. They can add a News section, Blog, Message board, Donate Buttons, and most importantly, links directly to the fundraiser or multiple fundraisers. Beth: For non-profits, charities or individuals reading this who may be considering organizing a fundraiser to support their cause, what tips would you give for making a fundraiser successful? 1. Find volunteers to help plan, setup and organize your fundraiser. 3. Schedule enough time for the actual fundraiser sales. If you schedule your event with too small of a timeframe and deadline, you and your organization will not have enough time to reach as many people as you would like. But, also don’t schedule it for too long as the people ordering their products will be looking for them in a timely manner. 4. Get the word out! Get as many volunteers and participants as you can, have them tell everyone they know. Spread the word on facebook and other online avenues. Contact your local newspaper, as most have an event section and usually will make note of a fundraiser or non-profit organization. 5. Customer service – even though this is a fundraiser and not a business, your fundraiser will benefit from treating people with great customer service. Be professional and polite, give them information about the group, organization or individual and what the funds are being raised for. Provide them with a benefit worth their money and/or a good quality product worth their money. Be sure to Thank them for participating in your fundraiser and deliver their products in a timely manner. Beth: If there are additional business owners reading this, are they still able to get involved with your site? Angie: I am accepting more fundraiser ops. I don’t have any limits – I think the more there is to offer the better. I also don’t have a limit for Reps with a company, although some fundraisers can be set-up online, some will be in person and if there is a list of Reps, they can find one in their area. If YOU are a business owner interested in getting listed on ADH Fundraisers, contact Angie and let her know – the more the merrier! Thanks for tuning in for my first-ever blog interview!! After working SO hard on my business and watching my team just FLOURISH I am so excited to announce that I have officially promoted to Senior Director with Thirty-One. WOOOHOOOO! I just LOVE my job!! Who would have thought, as at the beginning of the summer I was a Senior Consultant and since then have promoted to Director and then Senior Director!! So many big, fabulous things are ahead for this company, and I am so blessed to be a part of it all. To celebrate, email me your order this month only and I will take 10% off your total. Updated to add - look what was just delivered a minute ago from my Upline Director, as a congrats on the promotion! Thank you Courtney, love you!! Okay, I have been meaning to post these pics for days (well, meaning to take them for days). I had to get it done before he got his room all messy again. So far he’s done really well in keeping it clean. He’s very happy with the change in color, as well as the change in where everything is. He has a HUGE space in the middle of the floor to mess up play in, so that’s a big improvement. Now, what room am I going to paint next? Moose hit 9 months, so here are a few new pictures. He’s weighing in now at 144 pounds. My little angel!! Happy Labor Day, all! Back to the routine tomorrow. Woo! I promised pictures, so here you go! She LOVES the new color, and promises me she will actually keep it clean (which I doubt) but at least if nothing else I had a chance to get rid of a ton of her misc. junk that she’s had in there. This is honestly the cleanest her room has been in YEARS! Started on my son’s room today, and hopefully will finish it over the weekend! I am a little more than halfway, I would guess, in painting my daughter’s room. I would have to say my lack of attention to detail is pretty staggering, particularly around the ceiling edge, but oh well. That’s been the case in every room I’ve painted here, and we’ve all survived. I’m really hoping to wrap it up tomorrow so I can put her room back together on Friday and start on my son’s room. Mommy fun never ends! Pictures when I’m done. We’ve decided to repaint the kid’s rooms. In order to do this, we really had to clean out a BUNCH of stuff from both rooms. Being as I actually wanted this to happen today, I decided I HAD to help them. This was literally all day long. I lost count of how many trash bags we filled, but at the moment they are all still piled up in the loft in front of the pool table. The accumulated clutter that used to be in the kid’s rooms. Honestly it’s hard to believe this all fit in their rooms before, because quite frankly it sure doesn’t seem like their rooms are lacking for stuff without all this in there. Alright, so hubby is not home, kids have been down at a friend’s house, and I was trying to come up with something yummy to eat. I regularly buy from the various home party type food companies, so I figured I would dig through my stash of that and pick something. What I came up with was Homemade Gourmet’s Skillet Fried Rice. YUM!!! And SO easy – just needed water and two eggs (optionally I could have added meat, but I preferred to leave it plain). You basically just throw the rice mix in with the water and included seasoning in a skillet for 20 minutes, then scramble the eggs and mix them into the rice. Done. And did I mention the yum? And since it’s just me eating it, there is PLENTY leftover for tomorrow. Sweet. I can tell you from experience that HG makes a TON of other good stuff, too, and if you’ve never tried it, hop on over to my friend Clara’s Homemade Gourmet website and give something a try. I can also tell you that the Mini Pecan Pie Muffin Mix and Baked Potato Soup Mix are a big hit in my house, too. Delish!! Now I’m off to clean the bathrooms, a chore that I never enjoy. How old do my kids have to be before I implement a slave labor program with them?? Well, ya’ll know that I can’t ever just swing completely wordless, and honestly I think this requires a bit of explanation, anyway. Yes, it’s a baby pool. Nope, I don’t have a baby. Or at least not a human one, but I do have my 8 month old Mastiff, Moose, who insists on splashing like a toddler in every puddle in the yard. So we decided maybe if he had his own splash pool he would play in that rather than in the muddy water. Just got it last night, so I don’t know yet how effective it will be. People spend, on average, 6 minutes a day looking for their keys. 23% of adults regularly pay bills late because they lose the bill. 80% of clutter in the home is a result of disorganization, not lack of space. Admit that you’re only human – while you may have the best of intentions, you’re not always going to do it 100% all the time, so cut yourself some slack and realize that good enough is sometimes just that – good enough! Even if you have a file cabinet where you file bank statements, paid bills, etc. how often are you actually filing stuff there? I found that the hassle factor of taking up everything to file was deterring me from doing the filing, so I bought a cute 18 pocket accordion file and labeled each pocket with one of the categories that would eventually get filed (think Taxes, Power Bill, Bank Statement, etc.) and that way it’s cute enough to keep out, so I could keep it conveniently located, and I can easily file bills and statements as they come in, then only have to hit the file cabinet every six months or so. One word: containers! I have all different sized containers, particularly in the kitchen. Cereal Storers for each different cereal, a tight lidded container for sugar, for flour, for cookies, for pasta, etc. All these match, in various sizes, so my pantry has a nice put together look to it and it’s very easy to see when I’m running low on something. Take a look at your CD collection. Do you ever listen to most of what is in there anymore? Even if you can’t bear to part with them, you might think about getting a large CD wallet for them and trashing the jewel cases. This will take up SO much less room, and if you do it in an organized manner, the CDs will still be just as easy to find when you do want to listen to that old Bell Biv Devoe CD from back in the day. Set up a landing pad nearby whatever door you come in in your house (front door, door from the garage, etc.) This space should have a place to put the mail, your keys, your purse, and anything else you typically have with you when you come home. If you always put it there, you will always know where it is. Sounds simple, but sometimes simple is the best solution. Hang hooks on the wall near that door – one for each member of the family, that they can hang their backpack, purse, baseball cap, etc. on. If you find that clutter tends to collect on every flat surface of your home, put something decorative in those spaces. For example, if the kids are always throwing their stuff on the coffee table, put a pretty candle arrangement or a nice fruit bowl there. Give them a small basket in the laundry room or on the stairs that they can throw their stuff in. Naturally this stuff should be taken upstairs with them to their own rooms whenever the basket is full. Check out Flylady, if you’ve not heard of it. She’s got a ton of ideas on decluttering and cleaning your home. So that’s it for today. I will be the first to admit my house is very rarely spotless, and I would contend that it may never be, with a husband, two kids and five furred creatures, but at least I know where stuff is! Okay, really, I could not be more hooked on this show. And unlike the entire house, and most of America, I actually liked Rachel. I know, I know…but seriously, a strong chick that has a brain and wins competitions? I dig that. But now that she’s gone I’m torn. Kind of pulling for Brendan, but at the same time think he might be a bit psycho. I’m glad he won HOH, though, so he at least has another week cause I know Rachel will be happy to see someone other than him come through the door at the Jury house. So for a third less in price you can get a cute Thirty-One bag that’s within 1/2 inch size-wise, AND get it embroidered with your name or initials. Let’s look at another one. Once again, dimensions within a half inch of each other, but price miles away. AND, one of the things that makes the Thirty-One Messenger Bag a particular favorite of mine is that the entire front flap of the bag zips off completely and is reversible, so when you buy it, you automatically have two looks, and can buy additional reversible flaps in other designs for $10 each. Meaning that for the price you’d spend on one VB Messenger Bag, you could have the Thirty-One Messenger Bag with a total of 5 flaps for 10 whole new looks for your bag! Hell, personalize one for every day of the week at that price! 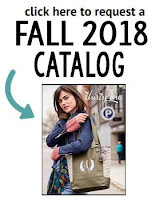 Alright, so now that I’ve done my research, I do totally get how people compare Thirty-One to VB as far as style goes, and I’m thrilled to see what a great value Thirty-One is for the price, esp. in comparison. My daughter went on a picture-taking spree throughout the house. This is something she does fairly regularly, and thus far she’s not proven to be the next Ansel Adams. I am participating in a Blogmania giveaway on the Little Yaya’s site. One lucky entrant will win a $25 gift certificate to be used on my site. There are also Blogmania giveaways from Votre Vu, Bellabeads, Partylite and many others. Read more and see how to win here. Not that I was ever technically GONE, just busy. Friend in town, working my business, lots going on. Even though I was, in fact, home the whole time, I still feel like I have a billion things to catch up on, and like I kind of need to get into my routine all over again. Nothing ever seems to be a seamless transition for me. But that’s okay, it’ll all get done eventually, right? I have a friend in from out of town, so I might not be around too much (at all) for the next couple days. Take care, blog world. I’ll be back. Any day now I will pull the weeds that have sprouted up around the pool. Any day now I will clean out the kitchen cabinets and get rid of the 6.2 billion cups, glasses, mugs and containers that we haven’t used since we moved in 9 years ago. Any day now I will go through the papers in my “to do” pile. Any day now I will update the kid’s birthday books with the last two years of birthday pictures. Any day now I will follow through on my threat to take away half my daughter’s toys if she doesn’t clean her room (gee, wonder where she gets that). Any day now I will actually organize the pantry so we can perhaps actually eat some of this insane volume of food we have. What’s on your Any Day Now list? You know how you get an idea in your head and then it kind of nags at you over and over until you do it. I’m currently suffering from that very affliction right now over my kitchen chairs. I HATE my kitchen chairs. They are beat to hell. They need to be, at the very least, repainted. Ideally they need to be replaced. And yet, I cannot possibly act on this right now. Why not, you ask. Well, for the simple fact that if I were to do anything with them now, they would just get ruined all over again. Such is the life of the mom of the Moose. See, the vast majority of the problem is that they’ve been chewed on. Badly. By a certain puppy in his teething phase. Which yes, he has technically grown out of the teething, but not of the chewing. Not yet. I’m hoping soon. In the meantime, I wait. And suffer the fact of having to look at the damn things every day and think about how much I hate them. I’m thinking once he hits a year, that might be the magic number at which I can safely replace the chairs and move on with my life. That’s not until December, mind you. So I’ve got a lot of waiting ahead of me. If only I could be the type of person who could just let this go. But I’m not. So I continue to obsess. Looking to get away from it all for the weekend? Here’s a bundle I’ve put together featuring all you need for a quick get up and go weekend. This bundle features four of our hot new products from the fall line: The City Weekender Tote in Black Pocket-Full-of-Posies print, our Clear Liquid Travel Pouch in Black Tailored Strip (so much cuter than a ziplock bag, and better for the environment, too! ), our Pull Apart Cosmetic Bag in Onyx Medallion print, and a Luggage Tax in Onyx Blossom. Purchased separately, these would retail for $130.50. Purchase them through me via email at beth@grabaclue.com and mention that you saw the bundle on this blog, and get them for $105. AND August is $1 embroidery month, so make them uniquely your own by adding your name, initials or message for just $1 per item. Ask me about additional coordinating pieces that are also available! I should not assume that someone, somewhere is “working on it” and that it will come back in it’s own sweet time. I will have to be transferred no less than three times when calling support. Each time I will need to tell them who I am and why I am calling. When attempting to reset the router, you have to plug that back in before the hub, or nothing will work. Seriously, people, am I supposed to just KNOW this? Now that summer is at it’s hottest, who doesn’t love a trip to the beach to get some rays and enjoy the water? Thirty-One has some great must-haves for beach going, and with our new prints that just launched yesterday, the options are better than ever! Pictured here are our Large Utility Tote in St. Andrew’s Garden fabric, Picnic Thermal Tote in St. Andrew’s Tartan, and Mini Zipper Pouch in Floral Fanfare. With just these three items, you can pack up for a day at the beach, without having to haul the whole house out of your car. The Large Utility Tote easily hauls your towels, beach toys and accessories, while the Picnic Thermal Tote will keep your drinks and snacks cold all day – just add a couple ice packs before you leave the house and you’ll be good to go. And the Mini Zipper Pouch is just the place to put your cell phone and keys (you know, those things you DON’T want in the bottom of your bag covered in sand when the day is done). These are each available in several different patterns, and all can be personalized with your name, initials or message for just $6 per item. View the complete collection in my online catalog. Regular retail on this three piece set would be $68, but order by email and mention you saw it here on the blog and I will give you these three pieces, in your choices of fabric colors, for $55.